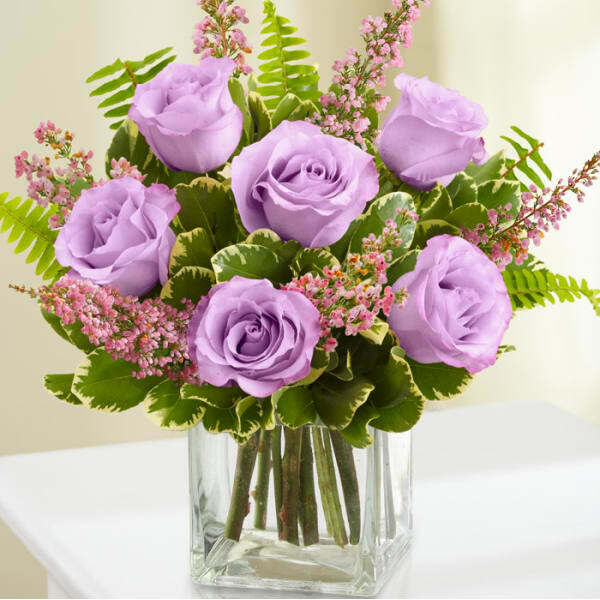 Send thoughts of comfort and love, during this time of sorrow, with this fresh and hand-arranged bouquet of premium purple roses. 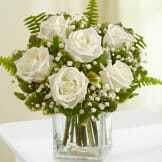 • Arrangement of purple roses and fresh heather; available in bouquets of 6 stems. • 6-stem arrangement arrives in a 5"H glass cube vase; measures approximately 7.5"H x 5.5"L.
Flowers will be received by a Vining Funeral Home's staff. 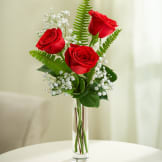 All of our flowers are designed and delivered by hand from a local florist in in Safford.